take 159th street to Gougar Road. Gougar south 2.5 miles to Oak Ave.
Oak Ave is on the right hand side. 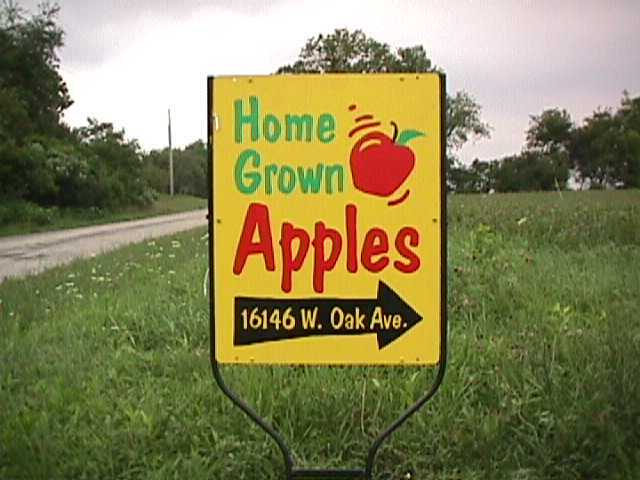 House is 1/4 mile down Oak Ave.
Watch for the Apple's on Oak signs!! Take I-80 to New Lenox Exit . At ramp light take a left (West) onto Rt. 30. Take Rt. 30 to Gougar Road. Take Right onto Gougar Road. Take Gougar for 3 miles to Oak Ave.
Oak Ave is on the left hand side. Take a jog to the right (at the T intersection). Head South for 4 miles to Oak Ave.